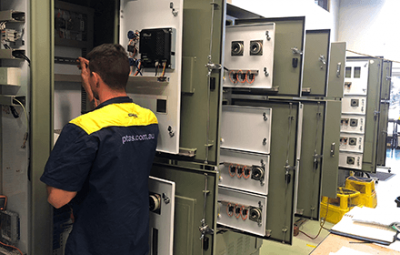 PTAS’s has extensive switchboard manufacturing capability and experience. The company has invested in a number of advanced manufacturing systems that enhance production. 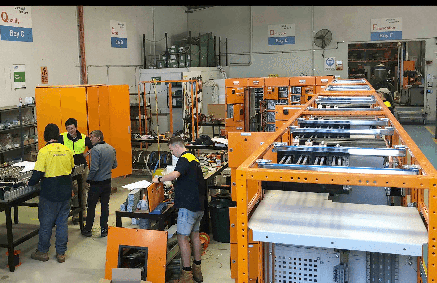 Fabrication and assembly is undertaken in two flexible workshops (1,000 sqm); one has 4 bays for concurrent multi-board projects, or they can be configured to accommodate four switchboards up to 20m long. Switchrooms up to 26m x 5m & 55 tonne (with HV, LV & controls) has been built and loaded out from PTAS facilities. Larger projects have been prebuilt, fully FAT tested and shipped. 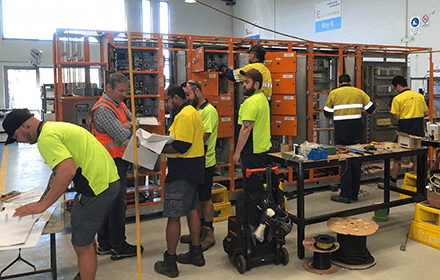 Manufacturing is managed through a group of project electricians who lead teams one of five project work bays. They responsible for a team of 3 – 5 tradespeople, apprentices and trade assistants. This enables PTAS to deliver fast design and build projects; some in 4-8 weeks. PTAS manufactures with modular systems and bespoke designs to suit a wide range of applications. ABCD Modular Outdoor Board; the PTAS developed solution to the arc fault containment problem with outdoor boards. 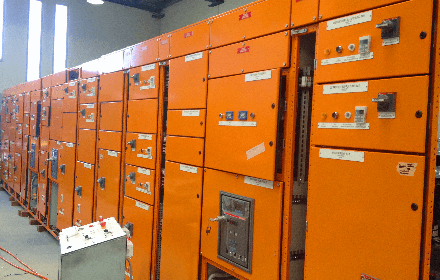 These switchboards are a major advanced manufacturing focus for the company. 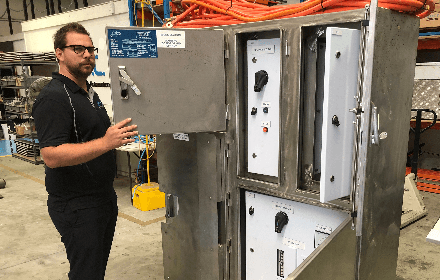 Our design and engineering services include : conception, design, scheduling, project management, software, installation, commissioning and testing. We aim to keep our clients completely satisfied from start to finish.